Are you ready for the school year to start yet? Grab all the gear you need to send the kids off to school at Made For School. For this month only, enjoy free shipping when you spend $99 and over. 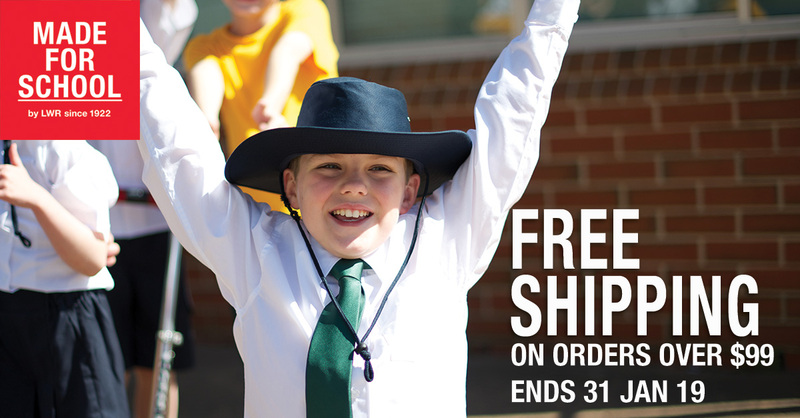 Come and check out our huge range of quality schoolwear ready to ship to your desk or door. Check out our polo shirts, shorts or skirts, hats, school shirts, jackets, socks, dresses, bags and more!